The Gilbane Conference is growing! Some of you may have heard there is some exciting news with regard to The Gilbane Conference. We have entered into a partnership with Information Today, Inc. to organize and manage future conferences in this 12-year-old series. As you may know, Information Today is the publisher of KMWorld and EContent magazines along with a host of other publications and websites. Information Today also organizes the KMWorld and Enterprise Search Summit conferences, so they are on familiar ground with respect to web content management, content marketing, social media, and many other related technologies. Information Today also publishes CRM magazine and produces the CRM Evolution conference and exhibition, which will enable us to reach out to marketers and other customer-focused professionals. 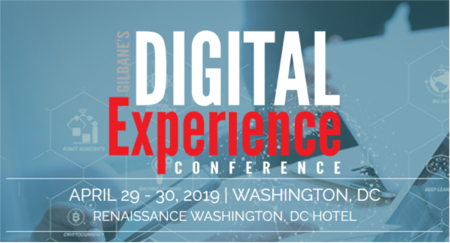 We believe the synergies between The Gilbane Conference and Information Today will assist us in producing even better and more innovative conferences in the years to come. The resources of a larger enterprise and the personal care and attention you’ve come to know at The Gilbane Conference are what you can expect this fall. The next Gilbane Conference will be at the Westin Boston Waterfront, December 3 – 5, 2013. We will be announcing the Boston venue and dates in the next week or two and See the new Gilbane Conference website for more information where we will be posting additional details very soon. If you are not already on our mailing list for advance information you can signup using the quick form below. Our theme this year is Content and the Digital Experience: Manage, Measure, Mobilize, Monetize, and we’ll be continuing our vendor and analyst neutral coverage of content, marketing, and digital experience technologies for enhancing both customer and employee engagement and collaboration. We look forward to seeing you in Boston this fall. We would love to hear more about your interests. You can tell us more by using our more complete form. Or send us a message.